With over a decade of salesforce experience and a strong pool of Salesforce certified resources, Damco delivers the solutions you need to meet customer expectations, maintain a competitive edge, optimize investments, and drive profitable growth across your company. We bring a proven, real-world understanding of how enterprises can use the Salesforce platform to create amazing experiences for customers, partners, and employees. With over a decade of salesforce experience working with leading enterprises around the globe, and a strong pool of Salesforce certified resources, Damco delivers the solutions and services you need to meet rising customer expectations, maintain a competitive edge, optimize investments, and drive profitable growth across your company. Our Salesforce Centre of Excellence consists of Certified Consultants, Developers and Administrators across major geographies and major product lines for SFDC covering Sales Cloud, Service Cloud, Marketing Cloud and Force.com platform. 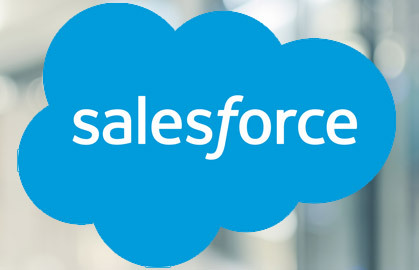 Salesforce.com applications along with Force.com platform in the cloud bring the power and success of Salesforce CRM thus going beyond sales, service & marketing and covering applications like Finance, HR and custom applications running in the Cloud. Applications on Cloud eliminate the hardware/software installations and offer a multitenant architecture, enable faster and low risk deployment with automatic upgrades features. We provide end-to-end Salesforce solutions, from strategy formulation and execution to maintenance, which are backed by our extensive experience and robust capability. Our proven delivery methodology coupled with CMMi quality accreditation and mature project execution ensures that Salesforce solutions enhance user enablement and customer experience and can help you transform how you engage with prospects, customers, partners, and even employees. Damco has developed a comprehensive one-stop field service software solution Optima Pro - to manage contracts, field service scheduling, warranties and spare parts inventory of any service organization while driving significant business results and transforming customer service experience. Optima Pro has built in process for managing the complete Service Organization which includes Territories, Teams, and Technicians thus allowing the Field Service Industry to keep track of on-site services, Geo-location based dispatch of technicians for installations, repairs, maintenance and generation/modification of Invoices/Bills in real time etc. ; all this with just the configuration and no additional code, hence saving time and streamlining the business processes and displaying the up-to-date information. Damco also offers various utility apps listed on AppExchange which have been developed inhouse by our Salesforce Center of Excellence and can help provide readymade solutions to some of your business requirements. Some of these listed on AppExchange Timeslate Pro, PostObject Pro and Address Finder. Timeslate Pro is an easy-to-use, drag & drop Calendar for Sales, Service and Marketing Organizations which enables you to create calendars on any Salesforce object thus, super-charging the productivity by allowing the management and visibility of campaigns, events, tasks effectively. It comes with user based configuration settings for what you want to see in the calendar when you login to Salesforce and is also optimized for mobile devices and can be accessed in Salesforce1 as well. PostObject Pro is an app that enables users to create new Salesforce object records from the source object and automatically copying all the values from source object to target object as per the specified mapping, with ease and without any need for custom code or automation, just using the configuration only, from administrators thus saving tons on time, offering flexibility and automating the processes. Address Finder is an app that solves all the address management issues that can be in the Salesforce org, that is, it allows to find, record and validate the addresses of your accounts, contacts or any other standard or custom SF objects easily. No matter if standard address fields or custom fields are used to capture address in records, Address Finder allows to define the address fields mapping in just 2 step configuration only, thus needing no custom code and automating mapping and populating address details by auto search. Damco provides you with the most comprehensive mix of strategic, technical and managerial expertise needed for your Salesforce implementations. Our experience of working across industries, geographies and functional areas has given us wide knowledge that helps us drive value to our customers. A strong team of advanced architects, administrations, sales/service/marketing cloud consultants and Force.com developers. Deep experience in delivering complex, and highly customized, multi-country end-to-end Salesforce implementations. Strong track record of developing employee and customer applications on Force.com using Apex Code and Visualforce.